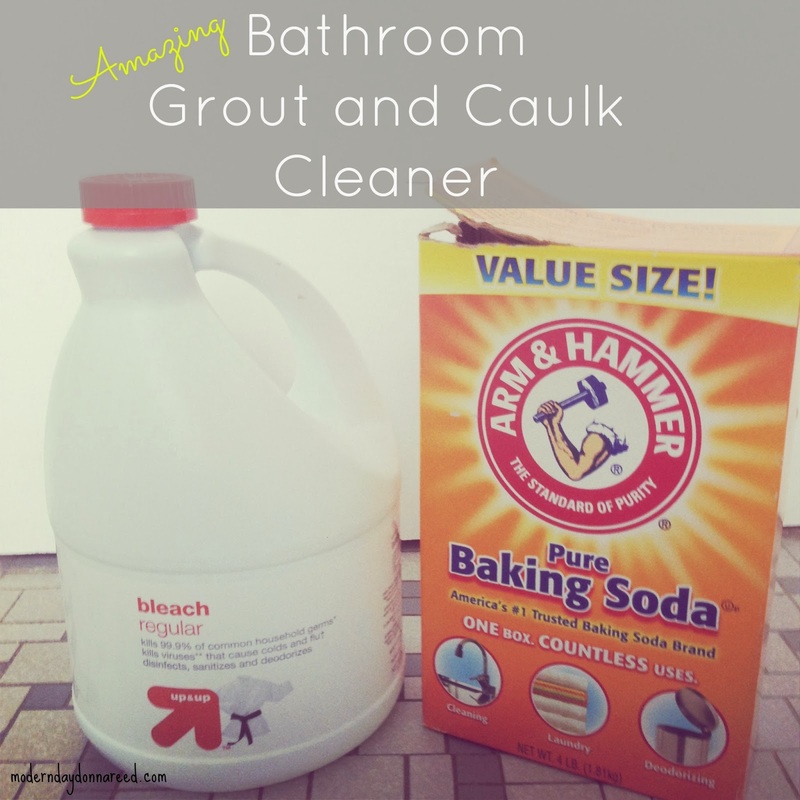 I shared on the CSHM Facebook Page yesterday that I stink at cleaning my bathroom tub. Toilets? Not a problem. Sinks? Consider it done. But there is something about the strange angles and the elbow grease always involved with cleaning my tub that frustrates me. 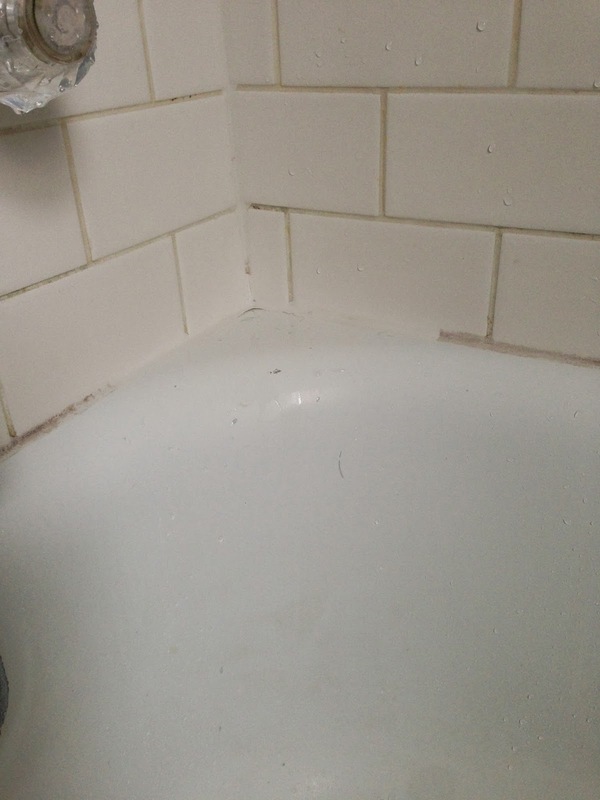 Recently, the thing that has become the bane of my tub-cleaning existence is that parts of the grout between the tiles and the caulk that lines between the tub and the tiles has become discolored. Particularly the caulk. At first, I was dismayed that I had allowed such dirt to settle in. 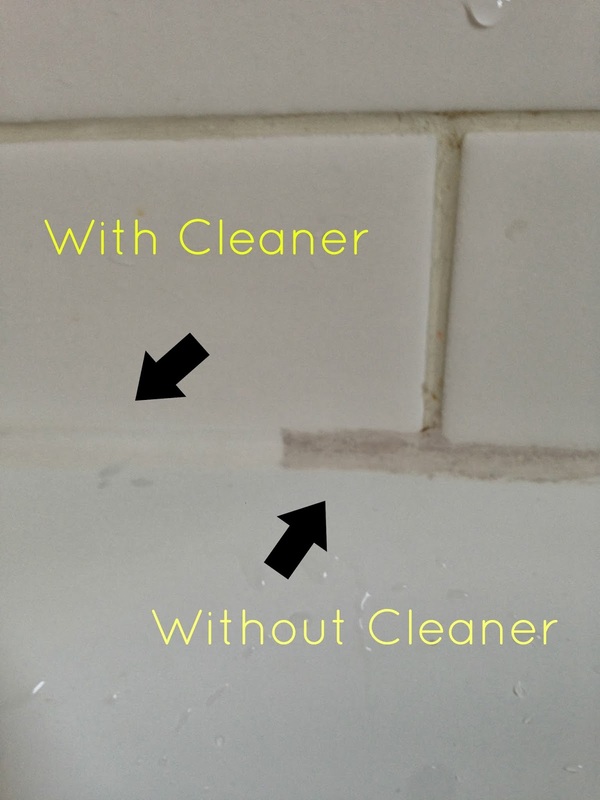 I tried many scrubbers and solutions, and I finally accepted that it wasn't dirt. It was discoloration. 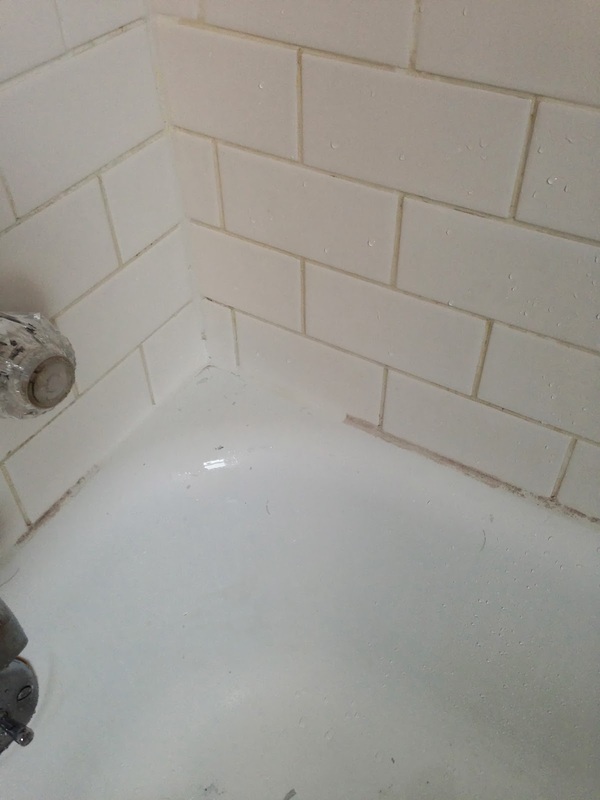 Over time, the caulk (and parts of the surrounding grout) had taken on a brown, grey or reddish tint. Even though I know the tub isn't dirty, I still really dislike the way it looks. I don't want people peering behind the shower curtain (since, you know, every guest does that in a host's bathroom, right?) and think *gasp* I don't know how to maintain my bathroom. Anyway, I enlisted the help of one of the best cleaners I know: My mom. As a side business, my mom cleans houses for older individuals. I called her up, explained my predicament, and she gave me a "recipe" for a cleaning solution. I had my doubts, as I had tried every concotion (homemade and store-bought) to fix this, but I decided to give it a try. It worked like a freaking charm and I am dumbfounded. So much so that I still can't speak, so I decided to quickly jot down a post to share the news with you all. Mainly because I'm sure there are others of you out there suffering from Bathtub Discoloration Syndrome, and this will rock you world. Add the bleach to the baking soda in a small bowl. Mix until it forms a paste. You may have to add a little more bleach or baking soda until you get the right pasty consistency. Apply to the areas you want to whiten. Let sit for an hour. Scrub with tool of your choice (I used an old toothbrush). Then wash remaining sediment away. I used it in the corners, just to see if it would work before trying it everywhere. I promise my tub does not look that unclean in real life. I couldn't believe how well it worked! Unfortunately, it makes the rest of the tub look discolored! I 'm going to go now and apply it to the rest of the tub to see if I can get a reasonably attractive bathtub by the end of this adventure.